For whatever reason(s), Chevrolet decided not to release its Corvette ZR1’s Nurburgring lap times. We know the automaker’s engineering team took the car to the Green Hell but nothing official was announced. Of course this drew some speculation that the ZR1 didn’t perform as planned, etc. But enough with the misinformation. According to Corvette Blogger, the C7 Corvette ZR1 clocked a ‘Ring time of 7:04. 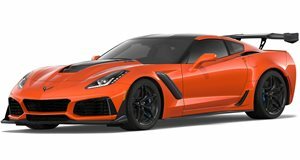 This news comes courtesy of retired Corvette test driver Jim Mero, who now runs a company, Jim Mero Vehicle Dynamics, which specializes in new calibrations for the Magnetic Ride Control system on 2009-2013 C6 Corvettes. The new company’s Facebook page was recently updated with several photos of Mero’s Corvette laps around the ‘Ring. One of those photos clearly states ‘2019 ZR1 7:04”. Mero’s other Nurburgring runs include a 7:10 time for a C7 Z06, 7:19 in a C6 ZR1, and 7:27 in a C7 Grand Sport. Even the "base” C7 Stingray Z51 achieved a segment time of 7:33. So let’s now compare these times, most specifically the C7 ZR1’s, to other Nurburgring speed demons. The current lap record holder is the Porsche 911 GT2 RS with a time of 6:40.30. It unseated the Lamborghini Aventador SVJ’s time of 6:44.97. The Porsche 918 Spyder did it in 6:57. All of those are sub-7-minute times and a previous story we ran last September claimed the C7 ZR1 matched the 918. Not quite, as it turns out. The reason for the confusion likely stems from the ZR1’s supposed time being denoted with an "S” at the end. "S” here stands for "Segment”. Mero explained it as such: "I was segmenting 6:57, and I always hit the segment.” A segment time is calculated by adding up the times clocked at different segments of the track. But the bottom line here is that we finally have an unofficially announced official C7 Corvette ZR1 Nurburgring lap time of 7:04. This is still mighty impressive.